EDI and e-Commerce that’s happy to live in a Fishbowl. 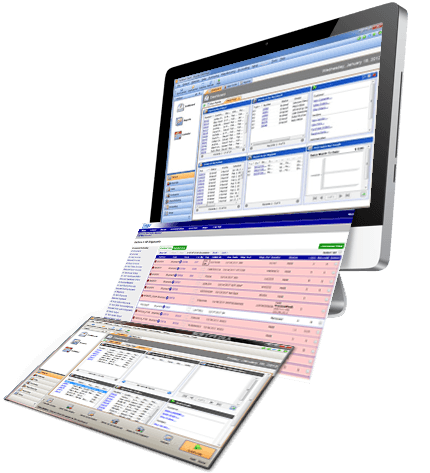 With our Lingo software, it’s easy to automate and integrate your EDI transactions. Fishbowl with EDI from eZCom. If only everybody in the office worked together this well. when you can do it through Fishbowl. If you rely on Fishbowl to manage your warehouse and inventory, you want an EDI platform that connects easily, merging data so everything is accurate and up-to-date. With Lingo software from eZCom, that’s what you’ll get. Our software works seamlessly with Fishbowl, creating a powerful system that automates transactions while reducing the errors manual entry can create. When you don’t need to switch back-and-forth between applications, information flows easily, compliance is assured, and your most important business relationships are enhanced. Integrated EDI is not only important, it’s vital as your business grows. With eZCom and Fishbowl functioning together, you can expect accurate inventory and accounting updates across all your sales channels. A direct connection to UPS and FedEx lets you create shipping labels without leaving the application. Automation is built into our software, and validation checks detect errors before data is sent. Doing more direct-to-consumer and direct-to-store shipping? With Lingo connected to Fishbowl, you can stay on top of it. Speed thrills — send multiple documents with just a few key strokes. As you grow, so do your sales channels. We help you keep up. Chances are, you’re now selling your products just about anywhere potential customers might find them. Shopify, WooCommerce, Magento, Jet.com, BigCommerce, or any other outlet — if it’s an online platform that generates sales, you want to be on it. Our vast experience in EDI makes us well-suited to handle all kinds of transactions. We get the details — and no matter what kind of order process you need to handle, we can make sure it’s done efficiently and without errors.